Garry Kasparov pays tribute to a great predecessor. 022 Squirrel 'Hungry and shivering from the cold, the cat wandered into the Smyslov's dacha in the winter of 2004-05. It stayed there and became the darling of the seventh world championship and his spouse.' A little tale by Oleg Pervakov, the editor of Vasily Smyslov's collected studies. 024 Ten Full-Blooded Games He had not come to win. His aim was to enjoy himself, to gauge his current form in view of the upcoming world championship match, to try some new openings. And to play ten full-blooded games. Well, full-blooded they certainly were. Veselin Topalov's play was far from impeccable and more than once his fate hung by a thread, but after he had ground down Boris Gelfand in a breathtaking last-round effort the consensus was that a great fighter had deservedly won his first Linares trophy and the €75,000 winner's cheque. 042 Carlsen and Ivanchuk Steal the Show The 19th Amber Blindfold and Rapid tournament in Nice started with a bang when on the opening day Vasily Ivanchuk, the winner of the very first Amber tournament back in 1992, defeated this year's top-seed Magnus Carlsen 2-0. Who could have expected at this point that these two players would be locked in a captivating race that would remain exciting till the very last moment? 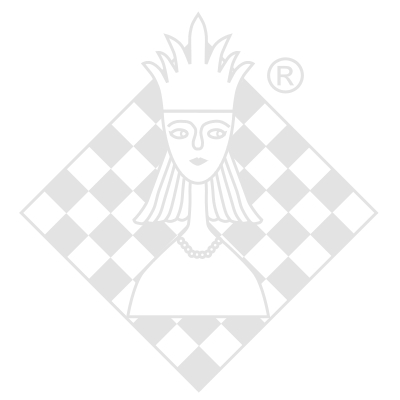 066 A Glorious Past Comes to Life Again After some difficult years following the break-up of Yugoslavia, the countries that were born out of the former republic are showing renewed interest in the organization of large-scale chess events. Croatia continued the trend with the European Individual Championships. 082 Mom's the Word Pia Cramling shares her impressions of her second European championship. In the process the mother of a seven-year-old daughter reveals the secret of the final standings in the women's tournament. 088 Among the Sturdy Dutch In his previous article about the Big Lasker Book Hans Ree was so carried away by the many aspects of Lasker's life that he neglected the great champion's chess career. This time there is more about chess, mainly played on Dutch soil. 092 You Are What You Click Find out which chess sites Jonathan Rowson visits when he is not reading a book. 096 Refinement and Accuracy Jan Timman delves into Vasily Smyslov's special qualities as a player and a study composer. 106 Just Checking Any idea what music Lev Alburt likes to listen to?